We speak so effortlessly that most of us never think about it. But psychologists and neuroscientists are captivated by the human capacity to communicate with language. By the time a child can tie his or her shoes, enough words and rules have been mastered to allow the expression of an unlimited number of utterances. The uniqueness of this behaviour to the human species indicates its centrality to human psychology. That this behaviour comes naturally and seemingly effortlessly in the first few years of life merely fascinates us further. Untangling the brain’s mechanisms for language has been a pillar of neuroscience since its inception. New research published in the Proceedings for the National Academy of Sciences about the different connections going on in the brains of Mandarin and English speakers, demonstrates just how flexible our ability to learn language really is. Before functional brain imaging was possible, two areas on the left side of the brain, called Broca’s area and Wernicke’s area, had already revealed their importance for language. Victims of stroke or traumatic brain injury to either of these crucial areas on the left side of the brain exhibited profound disabilities for producing and understanding language. Modern theories on connectionism – the idea that knowledge is distributed across different parts of the brain and not tucked into dedicated modules like Broca’s area – have compelled researchers to take a closer look. For example, language requires real-time mappings between words and their meanings. This requires that the sounds heard in speech – decoded in the auditory cortex – must be integrated with knowledge about what they mean – in the frontal cortex. Modern theories in neuroscience are enamoured with this type of “network” approach. Instead of pinning miracles of cognition to singular brain areas, complex processes are now viewed as distributed across different cortical areas, relying on several parts of the brain interacting dynamically. By six to ten months children have already learned to be sensitive to the basic sounds, known as phonemes, that matter in their native language. Yet different languages differ profoundly in the sounds that are important for communication. Mandarin Chinese is a tonal language in which the same basic sounds can refer to vastly different things based on the tone with which it is spoken. In a non-tonal language such as English, tone might convey emotional information about the speaker, but indicates nothing about the meaning of the word that is spoken. 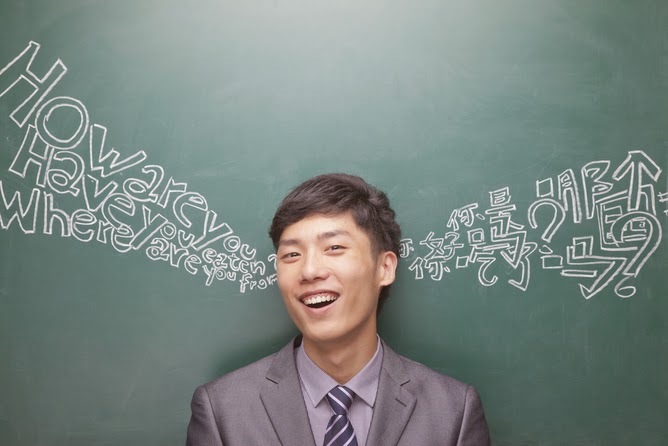 Now a group of Chinese researchers, led by Jianqiao Ge at Peking University, Beijing, has found that these differences between Mandarin Chinese and English change the way the brain’s networks work. The researchers took advantage of the basic differences between Mandarin Chinese and English to investigate the differences between the language networks of native speakers of tonal and non-tonal languages. Thirty native Chinese speakers were matched on age, gender, and handedness (they were all right-handed) with a sample of native English speakers. All participants listened to intelligible and unintelligible speech and were asked to judge the gender of the speaker. Both groups of speakers showed activation of the brain’s classic go-to areas for speech – including Broca’s and Wernicke’s areas – on the left side of the brain. But two important differences emerged. The first difference was the operation of the brain networks shared by English and Chinese speakers. English speakers showed stronger connectivity leading from Wernicke’s area to Broca’s area. This increased connectivity was attributed to English relying more heavily on phonological information, or sounds rather than tones. Meanwhile, Chinese speakers had stronger connections leading from an area of the brain called the anterior superior temporal gyrus – which has been identified as a “semantic hub” critical in supporting language – to both Broca’s and Wernicke’s area. This increased connectivity is attributed to the enhanced mapping of sound and meaning going on in people who speak tonal languages. The second difference showed activation in an area of the brain’s right hemisphere, but only among the Chinese speakers. This brain area, the right superior temporal pole, has been implicated in Chinese tones before but – perhaps more importantly – has until now been considered completely separate from the classic language network in the left hemisphere. The findings emphasise the importance of developing a bilateral network between the two brain hemispheres to speak and understand languages, particularly for tonal languages like Mandarin Chinese. We can expect more such differences to emerge as future research focuses increasingly on non-English speaking participants. Much of what we think we know about human psychology is based on “WEIRD” participants: western, educated university students from industrialised, rich, and developed nations. Other cross-linguistic, cross-cultural, or cross-class differences might emerge as more research develops. Provocative though the results might be, they raise questions for future research. Tone matters in English, just not to the same extent as in Chinese. For example, think of how your delivery might change the meaning of the question “Where have you been?” to convey suspicion, surprise, curiosity, or jealousy. Language might be among our most important windows to human thought, but research has barely scratched the surface of this complex and curiously unique human ability. 3-D Recycling: Grind, melt print! Can teachers ever have a work-life balance?